Bold yet subtle. That's the beauty of the Jun area rug. 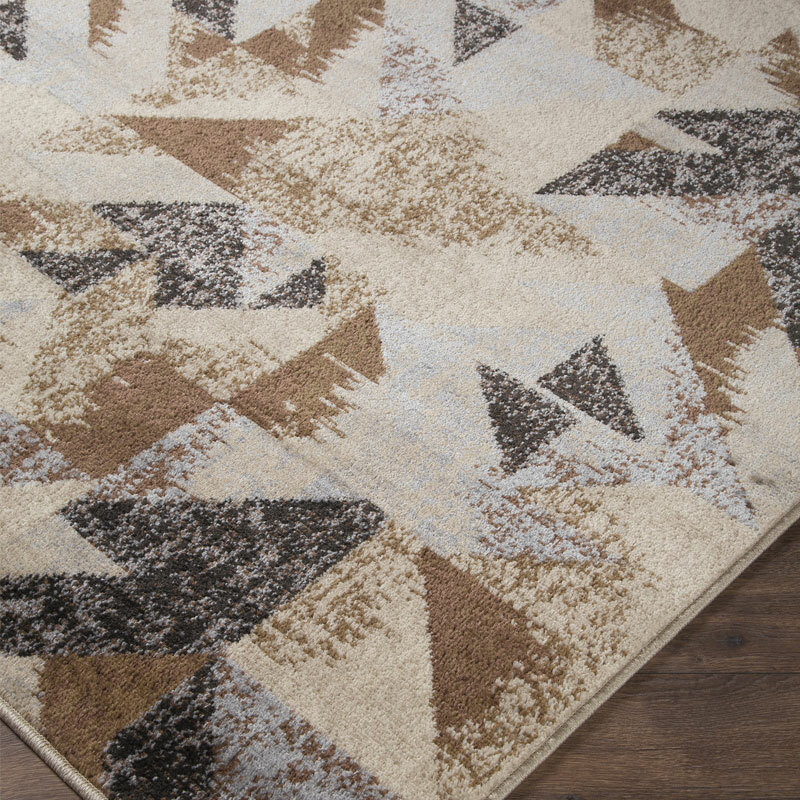 Its dynamic geometric pattern is downplayed by muted tones of blue, cream and brown for a sense of earthy elegance.